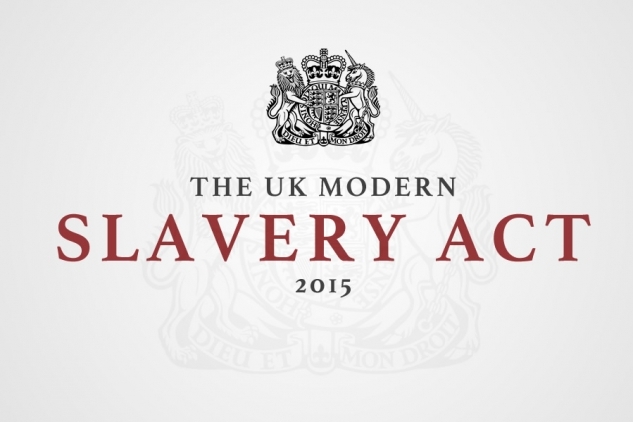 The Independent Review of the Modern Slavery Act, chaired by Baroness Butler-Sloss, Frank Field MP and Maria Miller MP, has this afternoon published its second interim report which focuses on the ‘transparency in supply chains’ requirement (section 54) of the Act. This provision requires companies with a turnover of £36 million or more per year to publish annual statements explaining what steps, if any, they are taking to tackle modern slavery and human trafficking in their supply chains and operations. The report makes clear that it is time for government to step up and make businesses take this legislation seriously. In 2017, 43% of the FTSE 100 failed to comply with this law alongside only 58% of the top 100 companies awarded government contracts. This shows that companies are not yet pulling their weight under the terms of the Modern Slavery Act. The report has recognized that too many businesses continue to treat compliance with this legislation as discretionary rather than obligatory. FLEX has called for all of these measures since the provision was first conceived in 2013. During the Modern Slavery Act progress through parliament we urged the government to include sanctions for those who do not comply, to introduce a central state list of statements and to ensure that the provision included clear steps that companies must take to comply. These calls were not heeded and now, less than four years after the Act was passed this review has called for significant changes to the law. FLEX has also formerly supported the multi-stakeholder statement by the former Independent Anti-Slavery Commissioner which called for a central state-run repository and has pushed for public procurement to be added to the scope. Whilst it is crucial to ensure that businesses abide by the law, the transparency requirement of the Modern Slavery Act needs to be recognised for what it is: a soft requirement which requires businesses to take no specific actions against slavery, and only to report on what, 'if anything', they are doing. Therefore, we must recognise that even if we reach a 100% compliance rate, this will not solve human trafficking and forced labour in the UK. If the UK government is serious about ending exploitation in the private sector, it must move towards a comprehensive corporate accountability framework. This means ensuring the state, alongside business, plays its role. Currently, the UK has a shockingly under-staffed labour inspectorate, less than half the global benchmark of one inspector per 10,000 workers. Placing the burden of responsibility solely on businesses whilst the state fails to provide is unacceptable. Likewise it is time the Government got real about steps to shift corporate behaviour, holding parent companies legally responsible for the exploitation of workers in their supply chains - so called joint liability steps. Workers' voices are far too often missing from modern slavery reporting and corporate action. Any actions taken to solve forced labour should be centred on the experiences of workers themselves, in partnership with trade unions and workers' rights groups who are best placed to protect our workforce on an ongoing basis. "I welcome today's report which shows that the Independent Review has really listened to experts from civil society. We have advocated for many of the measures the Review recommends and strongly advise government to accept them and make these necessary changes. It is time for real leadership in this area: government must stop engaging companies in public contracts when they are in clear breach of the rules and it must introduce significant financial penalties for those companies that do not comply. However, FLEX has been clear, the responsibility for ending exploitation above all lies with governments themselves. Resourcing for prevention work by UK labour inspectorates lags far behind that of the labour inspectors of our neighbours in Ireland, Norway or the Netherlands. As Brexit presents fresh challenges to UK workers, the Government has to face up to the urgent need to resource labour inspection so that there is a real threat of repercussions if a business abuses or exploits its workers. With the threat of a proactive HMRC inspection visit placed at once in every 500 years, there is very little incentive for unscrupulous businesses to comply. It is simply not good enough to leave action to prevent exploitation to business alone; Government too must play a central role in efforts to end human trafficking." For media comment, please contact Emily Kenway at [email protected] or on 07931 687 890.